Alexander McQueen’s black bag is crafted from croc-effect leather and encased in a gold ‘Cage’. This boxy style has a nubuck interior that neatly fits just your essentials – think cell phone, cards and keys. Detach the shoulder strap to carry it as a clutch. High-end fashion brand Alexander McQueen is owning up the bag stage once more with its Medallion Bag. A not-so typical bag with its rebellious look, the Medallion Bag is perfect for women who want to amp their fashion bag game. 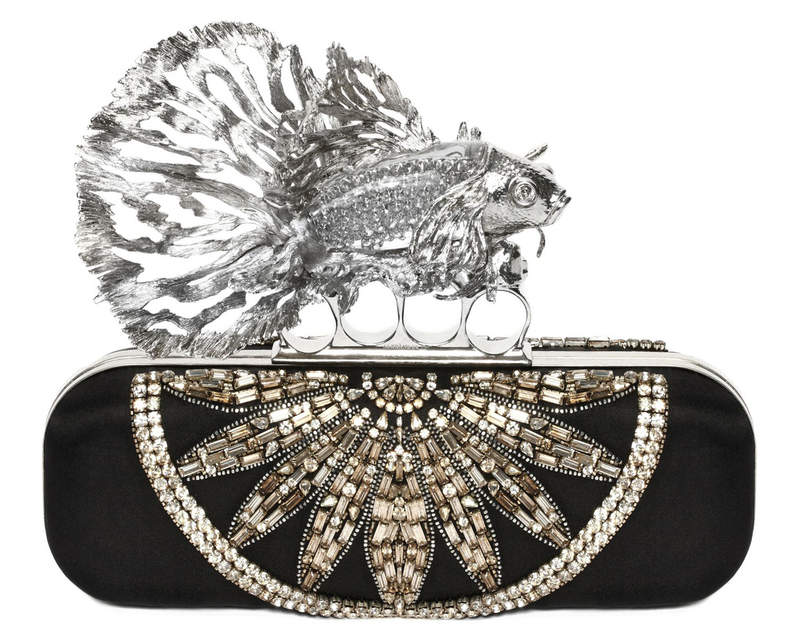 Okay, allow us to tell you more about this creative Alexander McQueen’s bag. A unique fashion piece, this bag comes with gunmetal chain hardware and a chain shoulder strap for that tough chic look. The boyish features of this bag is however softened by the additional hanging crystal-embellished charms, talk about eyeing two styles at once. The charms that can be seen are silver in color, just like that naughty spider clinging to it, or those leaves and other charms that gives it its own personality. It measures 7.5’ x 11’ x 3’ (H x W x D) inches and retails for $3795 USD or €2895 euro via MyTheresa.